With a record cruise ship orderbook, investors shouldn’t be concerned about supply growth, according to Norwegian Cruise Line Holdings President and CEO Frank del Rio. “You can see that we have been able to introduce those vessels very nicely into our fleet, especially the Norwegian Bliss, with incredible high pricing, strong velocity of bookings. For 2019, which is the year that everybody seems to be concerned about, the Norwegian capacity growth is actually about half of the industry average,” said del Rio, on the company’s year-end earnings call. 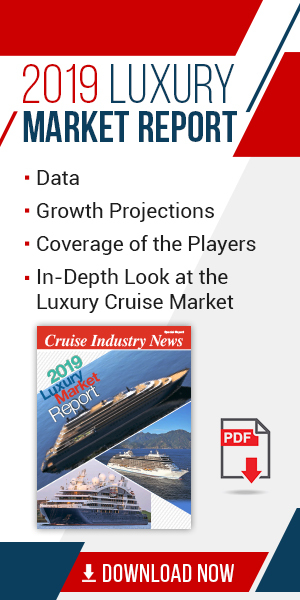 Over 40,000 berths are expected to be introduced in a record 2019, according to the 2018-2019 Cruise Industry News Annual Report. “From a Norwegian Cruise Line Holdings perspective, we simply have no concerns about the supply growth. We do compete in a global marketplace, but we see so many opportunities to deploy vessels to strong areas, especially in the North American market, which is showing very strong secular indications for sustained growth, that we can't wait to get our hands on new vessels. So, no, I'm not worried about it,” del Rio noted.